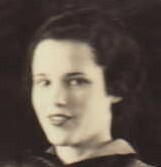 Anna Bell Horton, 90, went to be with her Lord and Savior, Thursday, April 22, 2010. Services will be 3:00 p.m. Sunday, April 25, 2010, in First Baptist Church, Tuscola, with the Reverend DeWayne Bush officiating. Burial will be in Rogers Cemetery, directed by Fry-Bartlett Funeral Home in Tuscola. Visitation will be 6 – 8:00 p.m. today, Saturday, at the funeral home. Anna Bell was born in Sipe Springs to Jim Cyril and Lila Ruth Rogers Jones. She married Everett G. Horton December 9, 1940, in Rogers. Her husband worked in the oil fields, and the couple lived in many West Texas towns in their early married life. . In 1972 she and Everett moved to Tuscola from Kermit, where she was very active in the Women's Home Demonstration Club. Family and friends were very important to Anna Bell and her wonderful cooking skills were enjoyed by many, especially her grandchildren. An avid Dallas Cowboys fan, she took a great interest in the participation of her children and grandchildren in all sports activities. She was a member of First Baptist Church in Tuscola. Preceding her in death were her parents; her husband; and her sister, Francis Cumby. Survivors include two daughters, Julia "Judy" Coffman and husband Walter of Tuscola, Ronda Appleton and husband Bill of El Paso; one son, Hank Horton and wife Sharon of Midland; four grandsons, Weldon Coffman and wife Paula of Tuscola, James Coffman and wife Krista of Austin, Tadd Horton and wife Jana of Hobbs, New Mexico, and Brett Horton and wife JoAnn of Hobbs; five granddaughters, Suzy Coffman of Graham, Kim Moon and husband Brett of El Paso, Lizzy Escobar and husband David of El Paso, Jenny Appleton of Dallas, and Misty Gilbert and husband Brad of Hobbs; fourteen great-grandchildren; and many nieces, nephews and friends. Memorials may be made to Hendrick Hospice Care, 1682 Hickory, Abilene, Texas 79601 or to Rogers Cemetery, % Karen Yost, First State Bank in Tuscola, P. O. Box 98, Tuscola, Texas 79562.